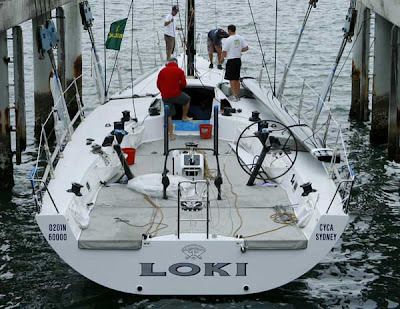 In what is regarded as a world first for the sport of yachting, the Cruising Yacht Club of Australia is pleased to announce that the Seven Network and Yahoo!7, will provide a live 90 minute webcast of the start of the 64th Rolex Sydney Hobart Yacht Race to a global audience. This means that in addition to Seven Network's live television broadcast in Australia, anyone, in any country around the world will be able to watch the start of the Rolex Sydney Hobart Yacht Race provided they have a computer and broadband internet access from 12.30pm AEST until 2:00pm AEST. With spectator numbers on Sydney Harbour and the Sydney Harbour foreshore expected to reach around 500,000 people, together with Seven Network’s Australia wide television audience of 500,000 viewers, and the addition of Yahoo!7’s national and international audience reach, it is predicted that the start of the Rolex Sydney Hobart Yacht Race will be one of the most viewed sporting events in the world in the month of December. To see all the colour and action of the start of the 64th Rolex Sydney Hobart Yacht Race tune into the Seven Network or the official race website http://www.rolexsydneyhobart.com/ and follow the links to www.yahoo7.com.au/sport from 12.30pm AEST on 26 December 2008.